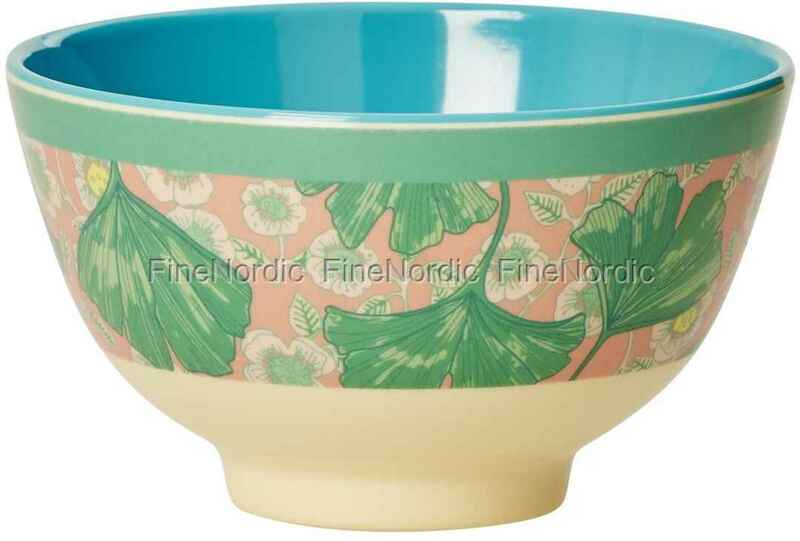 The attractive leaves and flower print of the small Rice Melamine Bowl Leaves and Flowers attracts the eye. Large green ginkgo leaves in the foreground, mixed with small bright flowers in the background and the colorful outside of the mug offers an interesting contrast to the plain inside. A great snack bowl for small treats such as: popcorn, chips and more. But also healthy fruit salads, vegetable soups or oatmeal can be served well portioned in it. The melamine bowl with the leaves and flower print is of good quality and is sturdy and durable, so you will enjoy it for a long time to come.